Meg's Food! 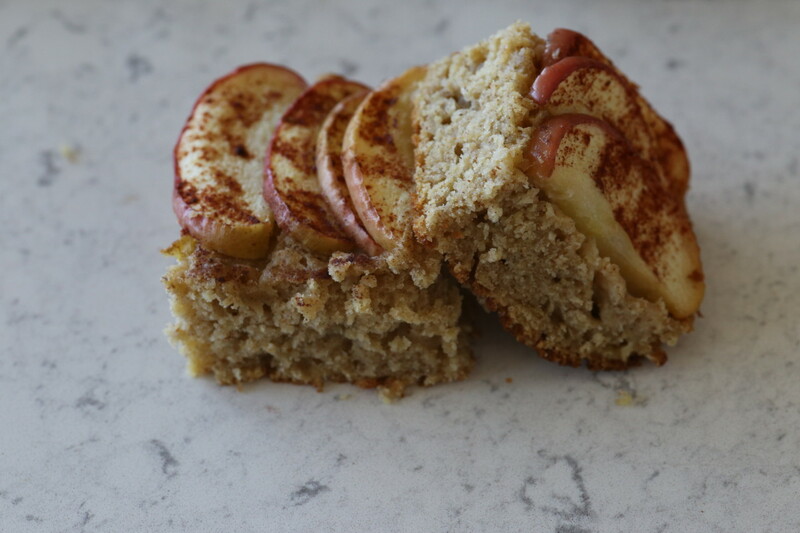 | Cinnamon Apple Buttermilk Cake - Meg's Food! I love fall baking. Something about those crisp days makes me want to stay in my kitchen, turn on the oven, and let my apartment fill with the smells of cinnamon and ginger. Fall makes me want to eat cakes flavoured with pumpkin and apples, cinnamon and cloves. 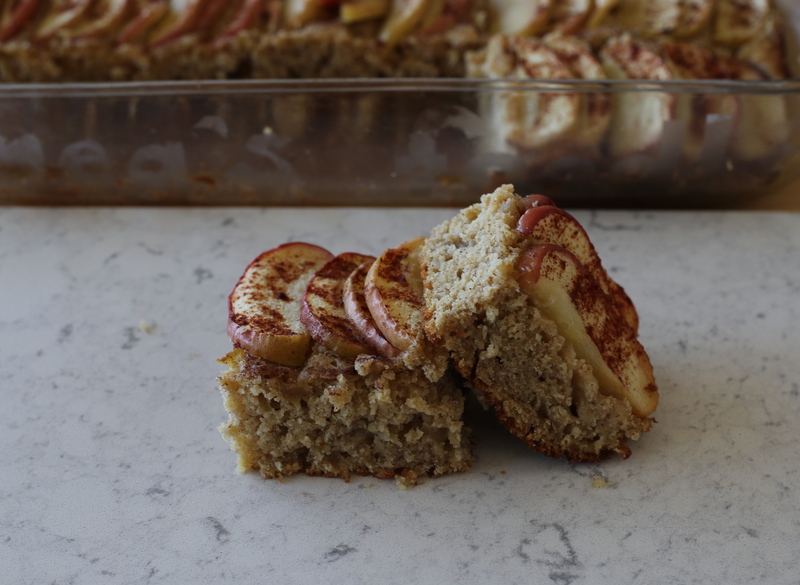 This cake is perfect for your fall baking craving. It’s not a light or airy cake. It’s pretty substantial, thanks in part to a combo of wheat and oat flour. Buttermilk keeps the cake nice and moist, and apples are both grated and stirred into the batter, and laid out on top of the cake. Preheat oven to 350, and butter a 9×11 inch baking dish. In a food processor, pulse oats until they turn into a flour. Combine oat flour, flour, baking powder, spices, and salt in a medium bowl. In the bowl of a stand mixer, beat butter until fluffy. Beat in maple syrup and vanilla extract until smooth. Beat in buttermilk, and then stir in grated apple. Fold in dry ingredients until just combined. Spread out mixture in prepared baking dish. 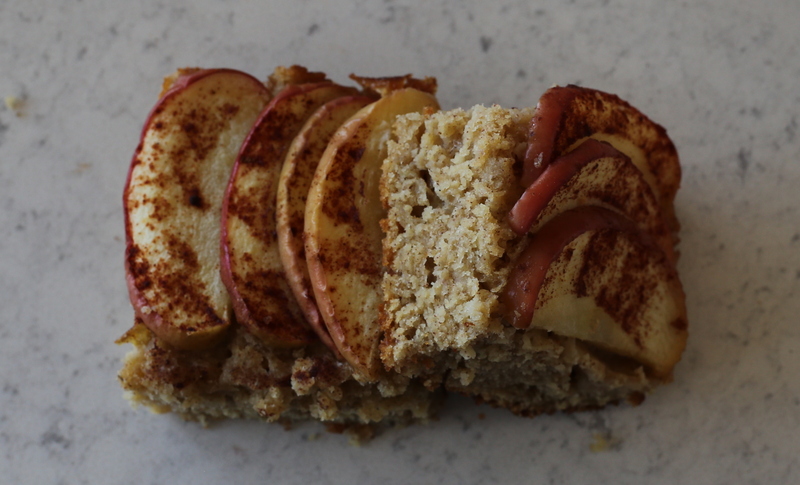 Top with thinly sliced apples, brush with butter, and sprinkle with cinnamon. Bake until a cake tester inserted in the middle of the cake comes out clean, about 45 minutes. 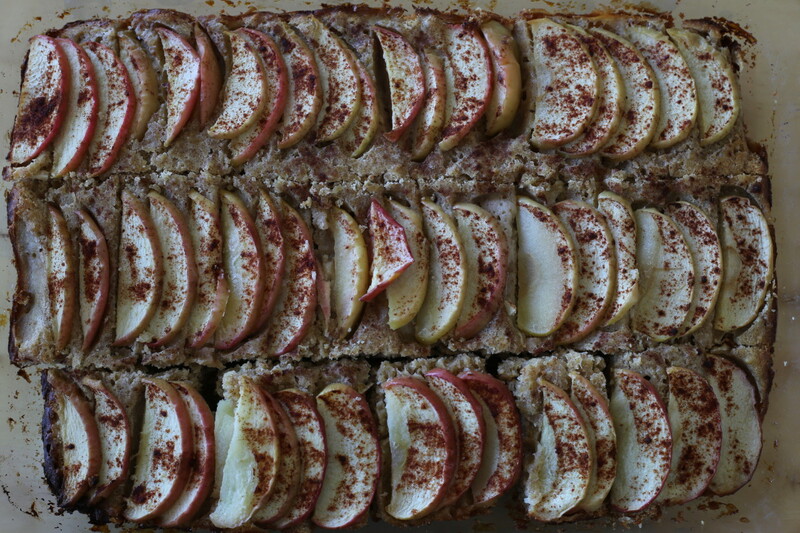 This entry was posted in Breakfast, Sweet and tagged apple, buttermilk, cinnamon, fall, naturally sweetened. Bookmark the permalink.